Kalpeshwar temple is a Hindu shrine, dedicated to the Lord Shiva,it is Fifth number and the last temple to be visited by the devotees, during the Panch Kedar Yatra, comprising five highly revered Lord Shiva temples in Uttarakhand. 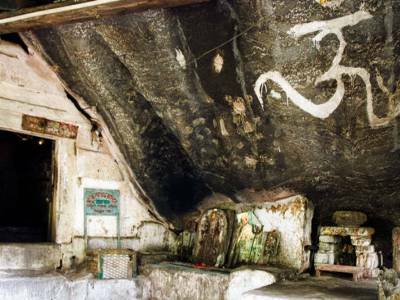 Kalpeshwar is the only Panch Kedar temple accessible throughout the year. This temple is sacred place of Hindus where Lord Shiva secretly appeared in the form of Jata or Hair and Pandavas built a temple at this place to worship Lord Shiva and popularly known as Kalpeshwar temple. 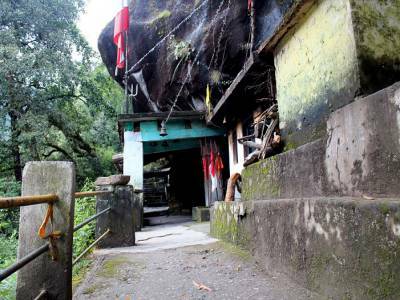 This temple is a small stone temple and has a stone idol of Lord Shiva. In Kalpeshwar Temple, Lord Shiva is worshipped in his divine form of Jatas (Hairs) and the trail to this sacred shrine goes through thick forests and lush green terrace fields. 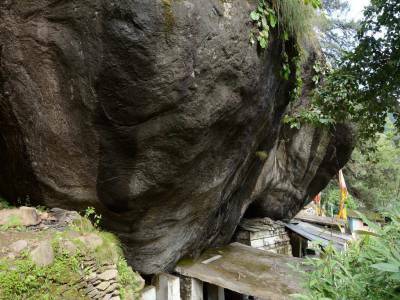 Hence, Lord Shiva is also called as Jatadhar or Jateshwar. Kalpeshwar houses the famous Kalpavriksha tree here which is said to be the wish granting tree in Hindu mythology. Visitors need to trek only 2 km from Urgam to Kalpeshwar. This shrine is a delight for the tourists with striking views of valley with terraced fields and lush green forests. 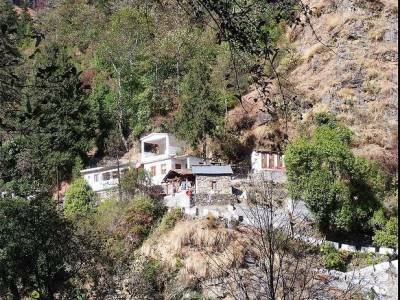 On the trek visitors can see Boodha Kedar temple, Dhyan Badri temple at Urgam village. 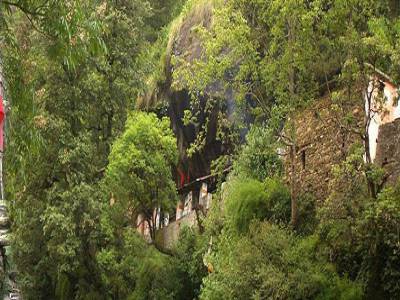 Rudranath temple can be reached from kalpeshwar temple by trek. Accessibility: 111 kms drive from Rudrapayag the closest town. 251 kms from Rishikesh, 274 kms from Hardwar, 292 kms from Dehradun, 490 kms from delhi, 266 kms from the nearest airport. Accommodation: There are not so much choices regarding accommodation. Only accommodation available at this remote part is home stay. Get quick answers from travelers who visit to Kalpeshwar Temple.